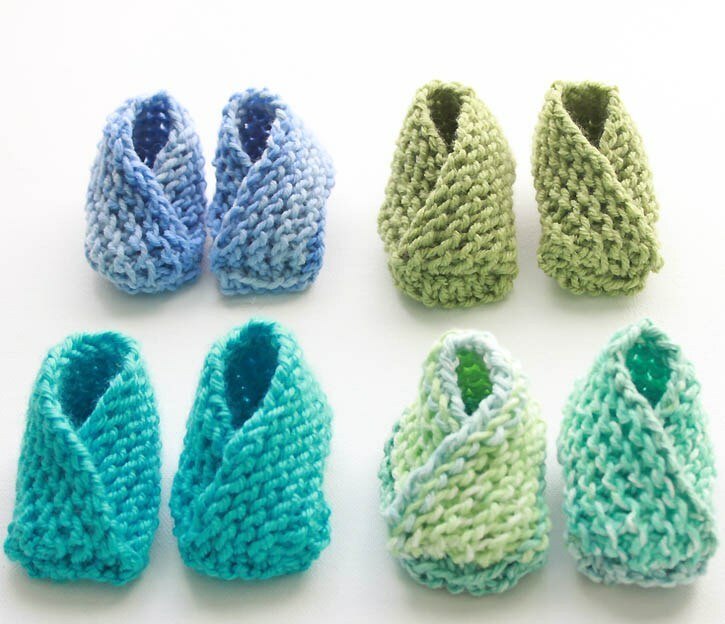 Knitted baby booties keep your munchkin’s feet warm and add to the cuteness quotient. 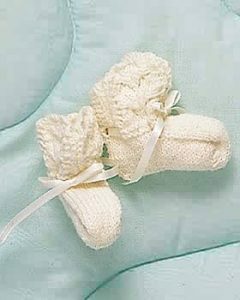 They are just perfect for wear before taking babies out with you for a walk in the park. They can also be left staying on their feet when they are indoors. These booties are done in the round with 2.5 mm circular needle. 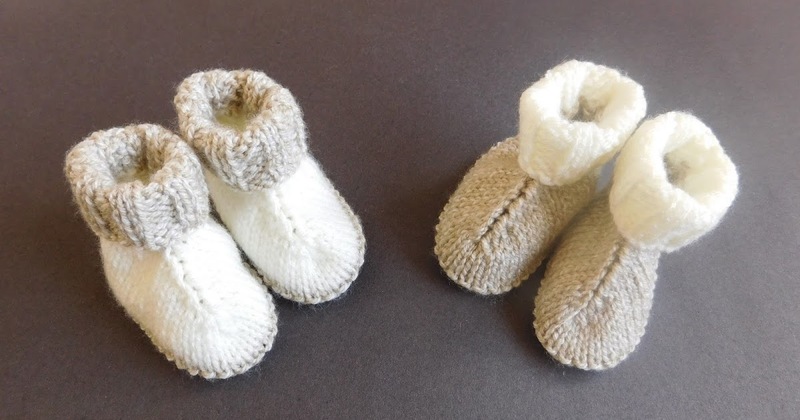 They have no seam. Half of each bootie is made on one side of the needle and the other half is on the cable. 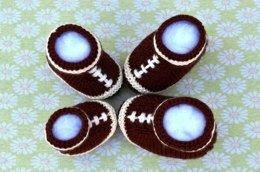 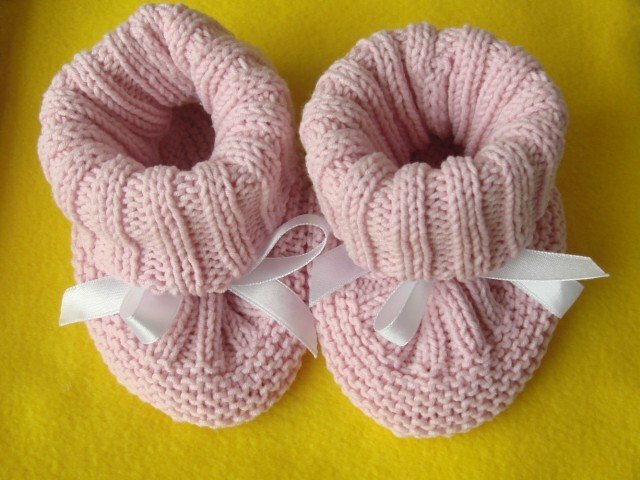 These white booties look adorable completed with sweet ribbon bows. 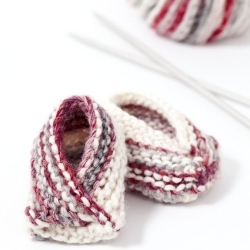 You will need only a single ball of yarn for this project. 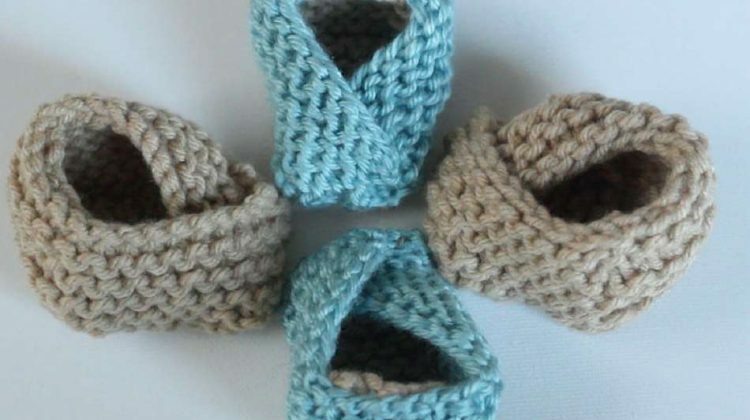 This project is a great way to use up your stash leftover yarn. 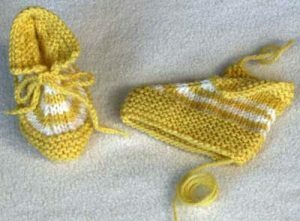 The pattern remains the same for all sizes of babies. 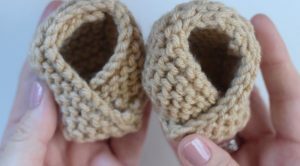 You just need to change your gauge to make them fit newborn, preemie and older babies. 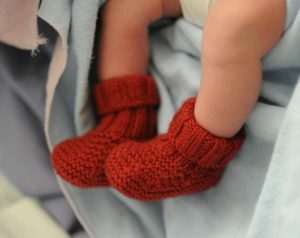 The photos in the above-linked tutorial make it easy to grasp. These lovely booties will not fall off from your little one’s feet. 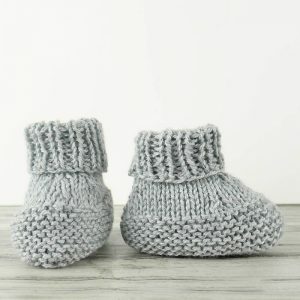 The leg parts of these baby booties are knit in an easy and attractive lace pattern that makes it unique. 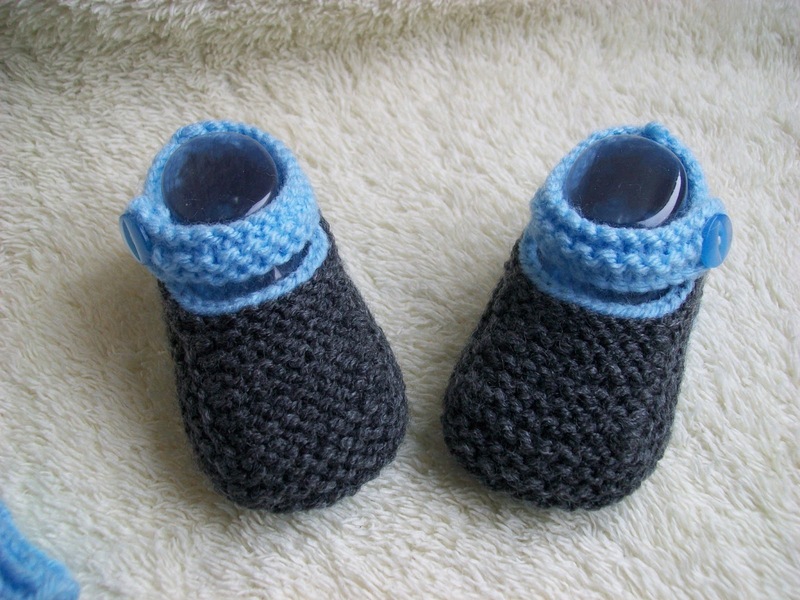 They have seams. This easy knitting pattern could keep you busy as you are expecting the arrival of your little one. It would help you relax and keep your creative juices flowing. 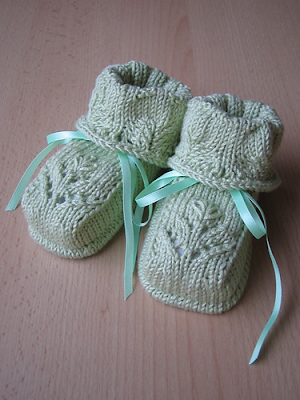 The pretty booties bear a tie-front pattern. They could be a great baby shower gift. 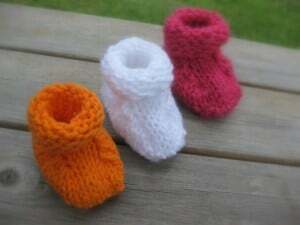 They are suitable even for beginner knitters. 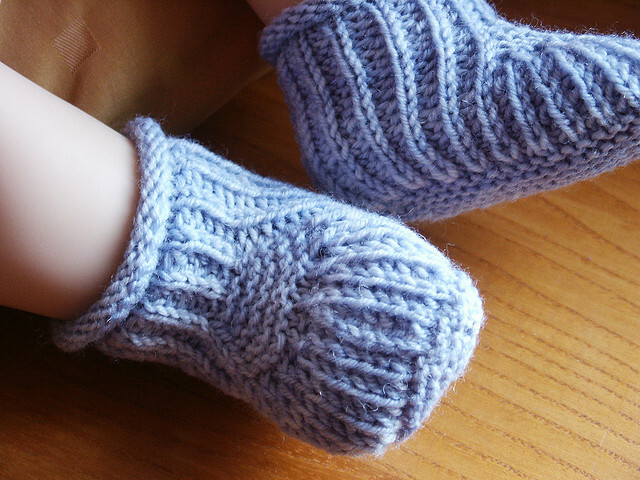 This fun pattern is entirely knit on straight needles. 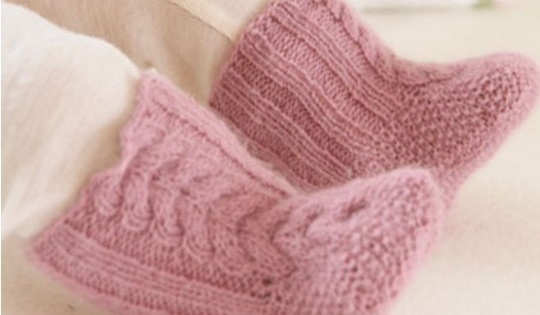 The simple pattern is a mix of stockinette and garter stitches. 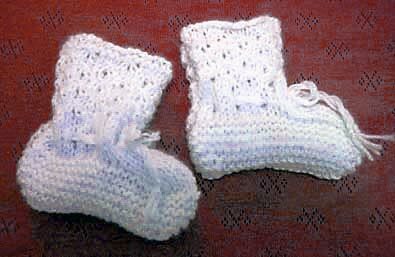 This pair of cotton booties is made with a combination of garter, stocking and other basic stitches. 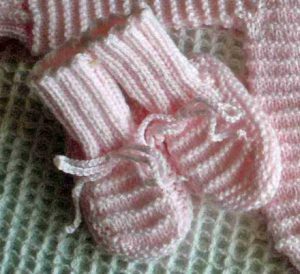 Add seaming to keep it neat when complete. 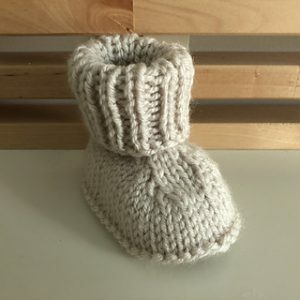 These booties are knit flat and then seamed. 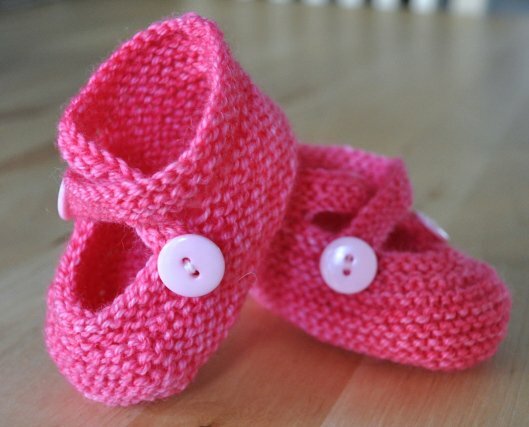 Almost any color of yarn would look great on them. 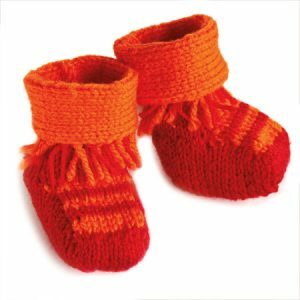 Bright colors especially look good in the winter months. 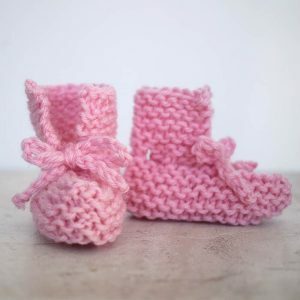 The pink booties sport the garter stitch and are knit in the round. 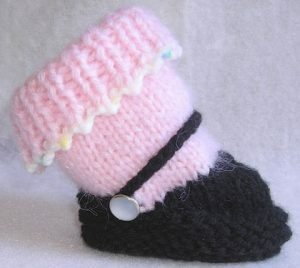 It measures about 4 inches from toe to heel and fits most babies. A fortune cookie design looks beautiful on tiny feet. There are written instructions as well as a video tutorial for this pattern. 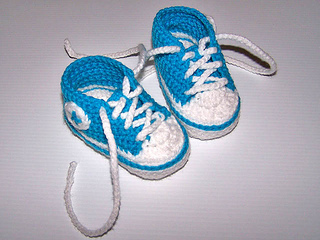 Make your little one look sporty with this converse booties pattern. They look good in red and white as well as blue and white. This pair is knitted with double point needles and yellow and white colored sport weight yarn. 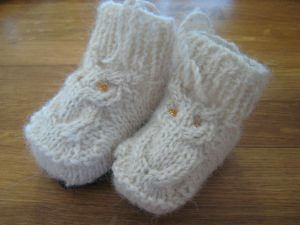 It is done in garter stitch. 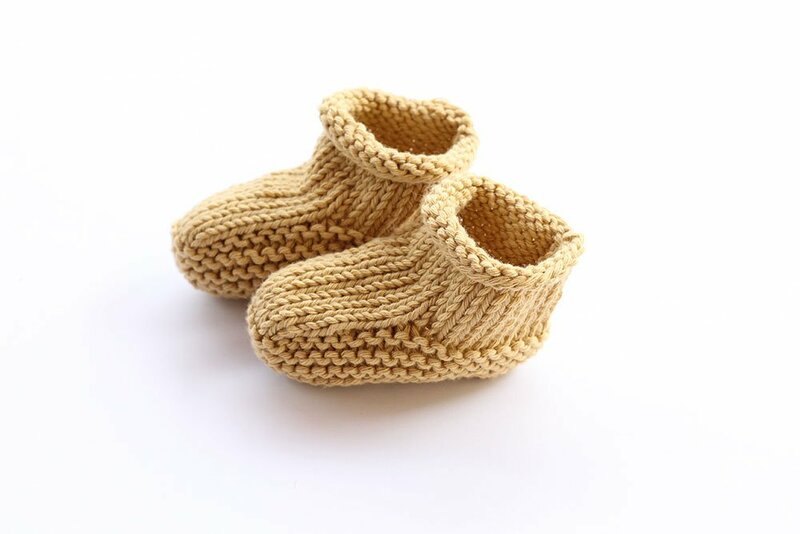 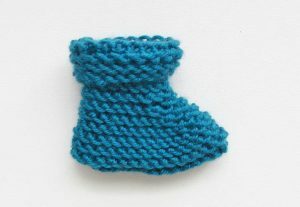 The supplies for this pair of booties are any worsted weight yarn and size 4 needles. 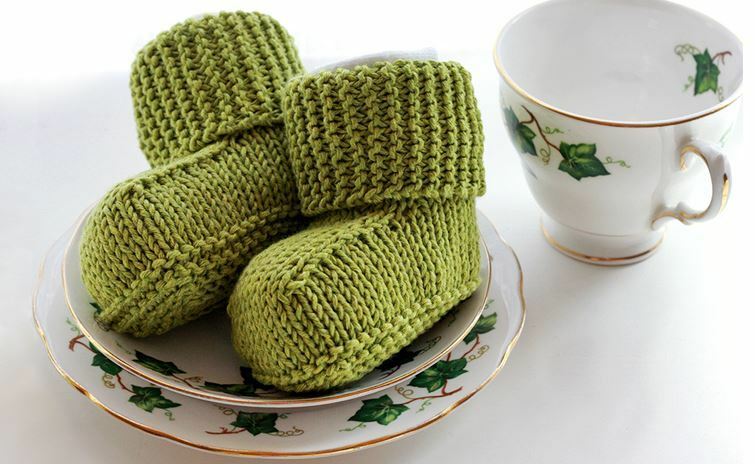 The pattern starts with casting on 31 stitches and knitting 8 rows. 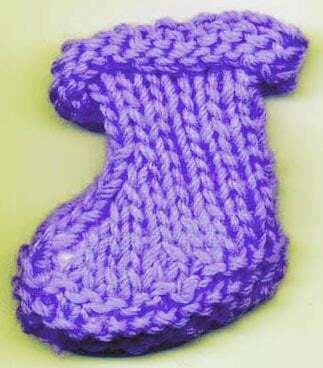 You don’t need a high level of knitting skills for almost all the projects. Most of them are quick and beginner friendly. 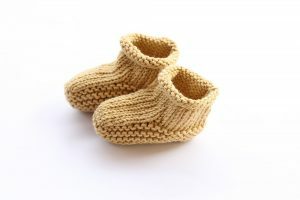 Even when your little one has grown up, you can preserve them for memories and passing on to the next generation.